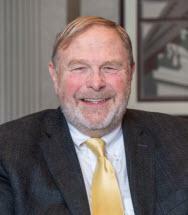 Edgar Boles is an accomplished attorney with 42 years of experience in public law and private practice, primarily in the areas of civil litigation and dispute resolution, representing small and medium sized business entities and individuals. Immediately after graduating from Case Western Reserve University's School of Law, Edgar Boles served as a Law Clerk to Judge John V. Corrigan and Judge Thomas J. Parrino on the Eighth Appellate District Court of Appeals of Ohio for Cuyahoga County. Thereafter, he served as an Assistant Prosecuting Attorney in the Civil Division of the Cuyahoga County Prosecutor's Office. Since 1976, Mr. Boles has worked in private practice with law firms in Greater Cleveland before joining Dinn, Hochman & Potter in July 2015. Mr. Boles is experienced in commercial disputes, business torts, shareholder claims and business dissolutions, personal injury claims, employment disputes representing both employers and employees, commercial, business and individual tort claims, and construction, real estate and real property claims and disputes including arbitration. Edgar Boles has experience representing individuals in Estate, Probate and Trust disputes and Domestic Relations matters including divorce, dissolution of marriage and post-decree proceedings. Mr. Boles also has experience in FINRA proceedings representing securities investment claimants and securities industry employment claimants.